We know we should eat more greens, but we so easily get stuck in a rut and just steam some broccoli or green beans, time and time again. The recipes in this beautiful book demonstrate how to incorporate leafy greens, green vegetables, and herbs in new and exciting ways and in any meal. Soups, sauces, dips, sides, mains, salads, juices, and bakes - there are so many ways with greens, whether they're the star of your meal, or concealed in a dish to make them kid-friendly! Forget boring healthy eating, the key to eating well is to have the inspiration to make interesting and varied dishes that packa nutritional punch while still being delicious. 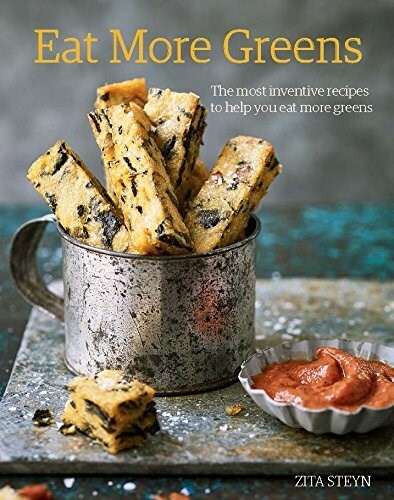 Alongside inventive recipes, Eat More Greens also has an at-a-glance guide to cooking all sorts of greens to accompany a meal.